Cost to do an energy audit varies greatly by region (and even by zip code). Get free estimates from energy efficiency consultants in your city. Cost to do an energy audit varies greatly by region (and even by zip code). Get free estimates from energy efficiency consultants in your city. The average cost of an energy audit is $150. How much does it cost to do an energy audit? An energy audit is an examination designed to identify any ways your house may be losing energy, and the corresponding solutions. It's also sometimes referred to as an "energy assessment" or "energy study". By having an energy audit done, you can get a full picture of your home's energy efficiency problems and learn about problem areas you never even suspected. You'll receive professional advice on how to best improve your home's energy efficiency. Making suggested changes after an energy audit can save you as much as 5%-30% annually. This cost guide breaks down the basic facts of home energy audits, as well as their average cost. There are a variety of factors that influence the total cost of audits, including audit extent, service add-ons, and government incentives and rebates. For a one-story 1200 sq.ft. home, the average energy audit costs about $150. Blower door test: blower door tests are designed to check the air-tightness of your home and identify any leaks. They manipulate air pressure indoors, drawing air through unsealed cracks and openings. This is done by mounting a large fan onto your home's front door. 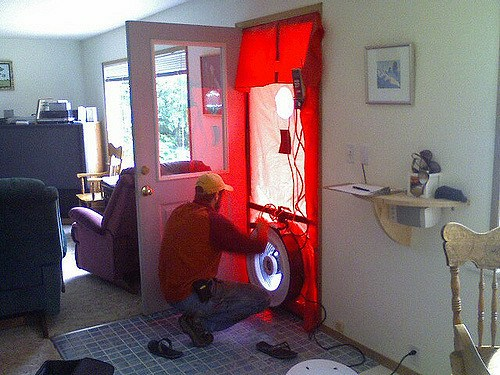 A blower door test should be a part of even the most basic energy audit. Infrared imaging: infrared imaging equipment is used to show where heat is escaping and cold air is entering. Repairing problem areas identified through infrared imaging can lead to 20% savings in heating costs. Room-by-room examination: auditors should typically walk through each room of your home and conduct a thorough visual inspection of the windows, appliances, and if possible, the insulation. Utility bill examination: all of your utility bills from the past year can be analyzed by your auditor to determine if you're paying too much to heat or cool your home. This is typically done by comparing your utility costs to the average costs paid by homeowners in your area. Some audits will also include photos of problem areas identified by your auditor, total cost estimates of suggested improvements, and total energy savings estimates. The general rule is that the more extensive your audit is, the more expensive it will be. Moderate to extensive audits cost between $0.12 and $0.50 per sq.ft. ($144-$600 for a one-story 1200 sq.ft. home). Industry experts recommend that whatever the extent of your energy audit, it shouldn't be any higher than 10% of your annual energy bill. Initial review: reviewing your annual energy bills, as well as comparing your costs and efficiency to that of similar homes. Site assessment: interview you and walk through the home, conducting a physical inspection and collecting relevant data. Energy and cost assessment: compare data from your utility bills to the data gathered from the physical inspection. Use that information to estimate improvements and savings. Report and recommendation: give you a summary of the audit findings and show you problem areas. Make recommendations for energy saving measures. About 7-10 business days after your audit, you should receive a detailed report summarizing what methods the auditor used to evaluate your home's efficiency, and their findings. Identified problems will be listed, such as leakage points, as well as corresponding solutions. Your auditor's report should specify what should be fixed in what order, and it should specify your estimated energy and cost savings. Auditors, also known as "home performance contractors", are the professionals who will be conducting your home energy audit. Since their time and labor is almost always included in the price of the audit itself, you won't have to pay additional or separate labor fees. Home energy audits usually last 2-3 hours. More extensive audits can take 3-4 hours. When you first contact your chosen auditor, expect there to be 1-2 weeks before they can come to your home to perform the audit. Most energy audits will result in the discovery of at least a few energy efficiency issues. Typical problems checked for and uncovered during home energy audits are listed below. Air leaks: it's estimated that the average homeowner wastes as much as $350 in utility costs due to air leaks. Inadequate insulation: most homes lack enough insulation to keep them energy efficient. It's not uncommon for an auditor to discover that a home is completely missing insulation in certain sections. Wasteful lighting: having old bulbs, light fixtures, and wiring can be a major source of energy consumption in a home. Inefficient appliances and heating or cooling equipment: equipment that's old, has a low energy rating, or just isn't right for your home type and climate can consume far more energy than necessary. At the end of your energy audit, be sure to thoroughly discuss all of the suggestions made by your auditor. Don't be afraid to ask questions and ask for an explanation if you don't understand something. Understanding the problems and solutions is absolutely necessary in order to successfully manage the steps that come after an audit. Establish what the priorities are. It's best to start with the quick fixes. You should immediately make any possible adjustments to your home’s equipment and appliances (install thermostat controls, lower settings, add timers, etc.). This will lower your bills right away. Hiring a handyman to perform basic air-tightening tasks like caulking 1 3 and weatherstripping can save you as much as $150 per year, and only costs around $100. Do this as soon as possible, since it's a fast, easy job with a quick payoff. Larger installations, like window replacement (average $580 per window), can typically wait a few weeks or a couple of months, unless there are major breaks and leaks. The PFT is a long-term test designed to measure the air-tightness of your home, and is often recommended as a supplementary upgrade to the blower door test. Your auditor will install an emitter and receiver inside your house. This equipment will emit a trace of 100% safe, non-toxic gas, then later absorb it to measure how much of the gas leaked out of your home over time. This test can give a more advanced assessment of your home's air-tightness, as well as your home's air pollutants. PFTs are typically only included in extensive audit packages, which cost over 315% more than average audits. Preparation: you will need to do some minimal preparation before your energy auditor arrives for the inspection. Make a list of any energy problems you've noticed in the summer and winter, such as drafts or excessively high energy usage. Have copies of your yearly energy bills on hand so that they are ready to be examined by the auditor. Finding an auditor: you may have already noticed many advertisements for energy audits in your local newspapers, on shop bulletin boards, or mail flyers. However, you shouldn't assume that every advertised service meets professional standards. In fact, many don't. Before choosing an auditor, verify that they are certified by the Building Performance Institute, Inc. You can use the BPI's online search tool to check whether or not an auditor is BPI certified. Adjustments and fixes: some recommendations made by your auditor can be quick and easy fixes, while others may be extensive projects. Common adjustments and fixes are listed below. Converting to LED or fluorescent lighting can lead to 25%-80% in energy savings. Replacing old and inefficient equipment and appliances with Energy-Star certified products will give you 30% in energy savings. Adjusting equipment by changing settings, adding timers, or even installing thermostat controls can result in 50% savings. Installing new windows can significantly improve your home's efficiency. Storm windows 2 6 in particular are designed to provide energy savings of up to 33%. Storm windows 2 6 cost $275 each. Replacing insulation is often a significant upgrade to a home's energy efficiency. Attic insulation projects start at $400 and can go over $1800. Rebates: check with your local authorities if you are eligible for discounted or free home energy audits. These audits may not include all of the inspection tasks that standard audits do, such as blower door tests or infrared imaging.Many regional governments and organizations, such as that of Washington DC, offer rebates on upgrades made after an energy audit, which can add up to as much as $5000 for gas-heated homes, and $8000 for electrically-heated homes. There are separate rebates for different upgrades. Maximums may apply. Your energy provider may be able to provide you with a loan as high as $30,000 to cover energy efficiency upgrades. DIY: you can perform a DIY energy audit. First, grab your last 12 months of utility bills and enter some basic information about your house into the ENERGY STAR Home Energy Yardstick tool. It will compare your home's energy efficiency to that of other homes like yours. This online tool also provides suggestions for improvements you can make. Travel fees: iff you live outside of your chosen auditor's service area, you'll likely be charged a travel fee. Travel fees are completely dependent on the current price of gas, the specific distance between your home and the service area, and the auditor's discretion. 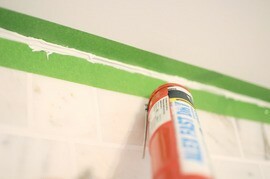 Air-sealing and ventilation: many homeowners worry that after air-sealing, their house might be too "tight" to breathe. This concern is based on the old misconception that some drafts and air leaks are necessary for a home to have healthy ventilation. In reality, there's nothing to worry about when your home is tightly sealed. An efficient home should be tightly sealed, and should have controlled ventilation installations. Relying on air leaks to provide your home's ventilation runs the risk of long-term damage, as well as uncontrollable energy waste. A home energy audit is an examination of your home to determine where it may be losing energy. It may also be called an energy assessment or an energy study. What is an energy survey? An energy survey reviews how energy is being used in a building. This can be simple or detailed, and may be available in three types: investment, detailed, or walk-through. How much does it cost to get an energy audit? A typical energy audit costs around $150 for a 1200 sq.ft. home, although some companies may conduct an audit for free if you purchase their services. What is an electrical energy audit? An electrical energy audit is an examination of your home to find out why you may be losing energy. Air sealing closes the gaps around your windows, doors, and other air leaks to help prevent energy loss and help you save money. What do you mean by energy management? Energy management refers to the process of using the least amount of energy necessary for your home. How much does it cost to do an energy audit in my city? Cost to do an energy audit varies greatly by region (and even by zip code). To get free estimates from local contractors, please indicate yours. We have also added an image of the project, ain this case one of an energy audit, to help the user better understand the project.